Collaboration is such a beautiful word to me. It’s meaning is simple and pure. According to the dictionary it means: the action of working with someone to produce or create something. Ahhhh.. music to my ears. 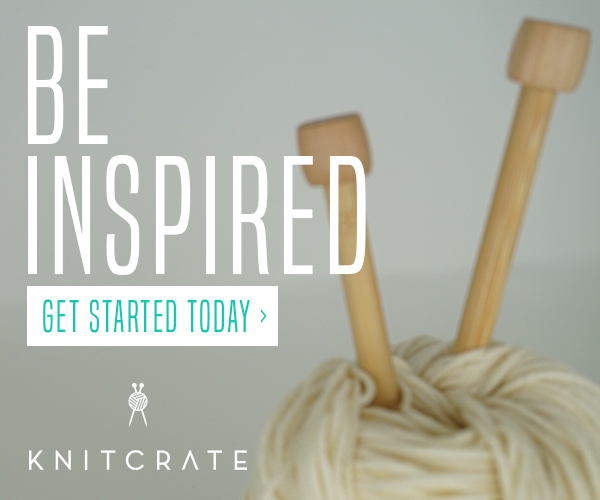 In the world of independent Makers, it is easy to get isolated. That act of working on our creations connects us with yarn and tools but what about people? This is why the collaborative approach is so important to me and for Stitch & Hustle. Using our talents and gifts to CREATE something only WE can create TOGETHER! And our latest collaboration is so special: The Kaleidoscope Scarf. What I loved about this collaboration most was the process. The things you will never see that happened behind the scenes. The emails to discuss the concept and idea. The discussions where we each brought our approach to the table and worked together to bring YOU this incredible project. When Katie sent her sketch I knew we were on to something magical. 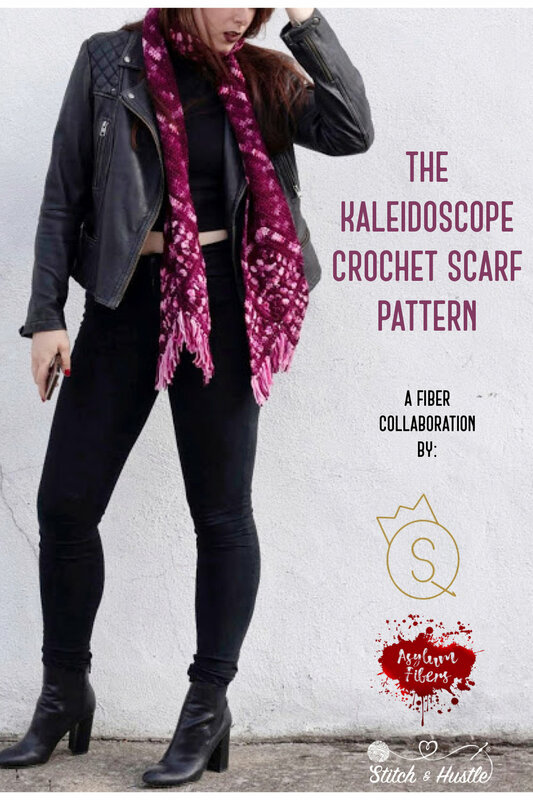 The Kaleidoscope Crochet Scarf features Stephanie of Asylum Fibers beautiful hand dyed luxurious DK weight fibers in eye capturing shades of burgundy and pink called Ladylike and Flowing Freely. And flowing these colors do. They truly capture the name of this scarf with optical illusion as the colors change and shift. 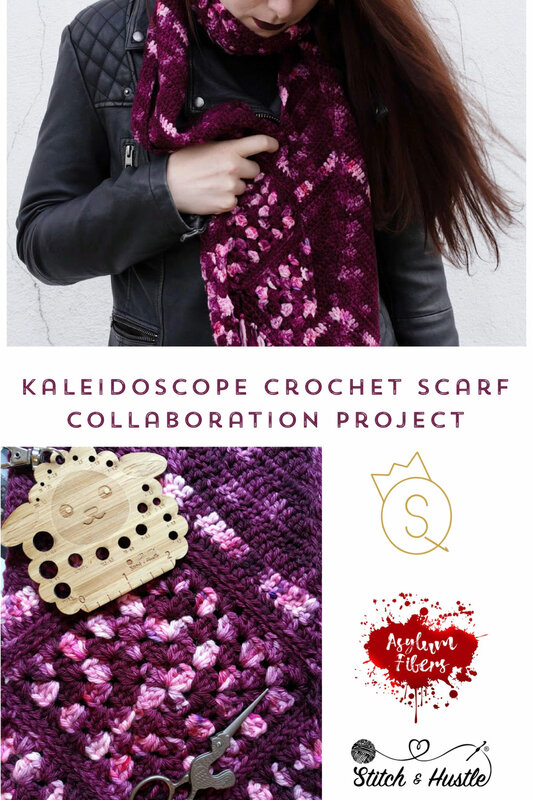 We have created LIMITED EDITION KITS featuring Asylum Fibers Yarn and all you need to make your own Kaleidoscope Scarf in these amazing pink shades. The design by Katie of The Queen Stitch is nothing short of a master class on perfection in execution. 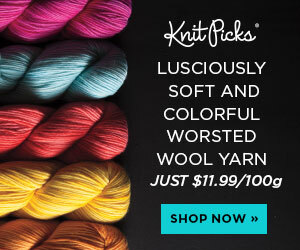 We wanted a scarf that would be beginner friendly and showcase the beauty of Asylum fibers. Can you say NAILED IT?! because she did. Beginner friendly to be sure, Kaleidoscope Scarf pattern is worked in double crochets, and looks best with at least one solid/tonal color showcasing the sudden tones of Stephanie’s yarn. Katie’s unique way of aligning and featuring the traditional Granny Square makes this scarf anything but traditional. When complete, you’ll have a unique creation to wrap yourself up in for the fall and winter months.